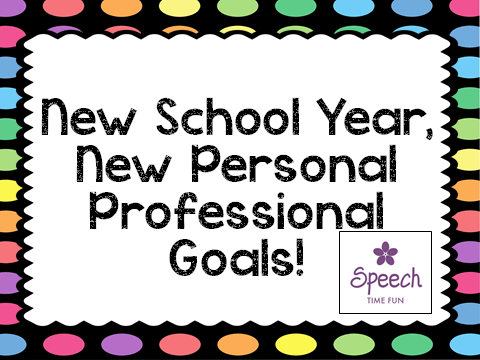 New School Year, New Personal Professional Goals! 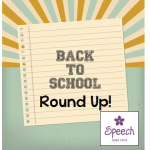 I cannot believe the summer is over and we are back to a new school year. Each year, I like to make goals for myself. Although I have been in the field and in my building/district for years, I recognize that there is always room to learn and grow! 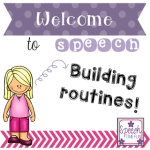 Find new ways to encourage expressive language for my low functioning students. I plan to use Speech Room New’s AAC communication boards like this one. 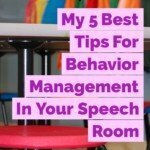 Keep teachers informed more frequently on what is going on in the speech room, how their students are doing, and what they can do to see the same progress. Keep learning. 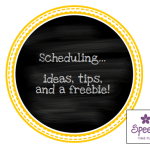 I hope to attend workshops on Apraxia, stuttering, and working with ASD students. 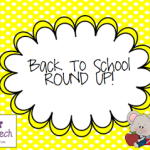 I also plan on attending workshops held in my district/building for classroom teachers so I am more informed and educated on the techniques they are using. 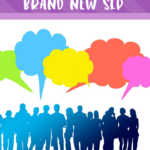 Wondering what your other favorite SLP bloggers/TpT sellers have as their goals! ?